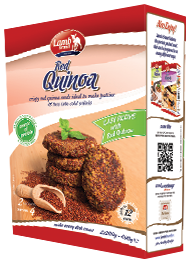 Lamb Brand welcomes to its range new Quinoa packaging. 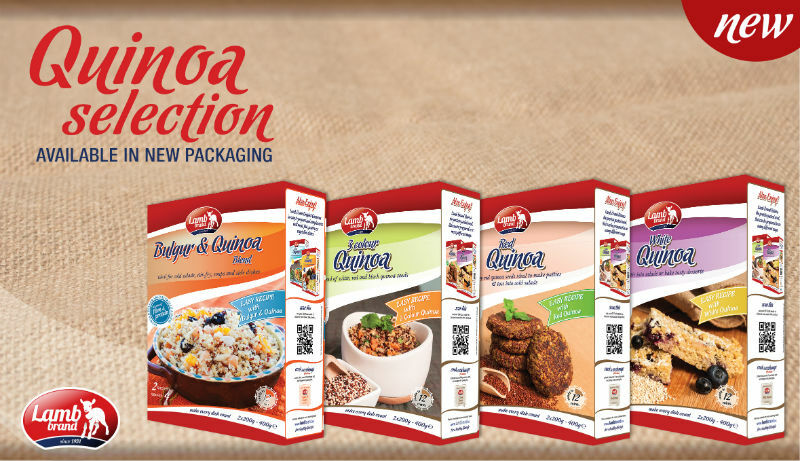 They come in luxury designed carton boxes in four different varieties: White Quinoa, Red Quinoa, 3-Colour Quinoa and Bulgur & Quinoa Blend. Quinoa pronounced as “keen-wah” is a tiny bead shaped seed. It comes in a rainbow of colours and can be prepared like whole grains such as rice or barley. This protein-packed seed contains every amino acid, and is particularly rich in lysine, which promotes healthy tissue growth throughout the body. Quinoa is also a good source of iron, magnesium, vitamin E, potassium, and fibre. The taste and texture of quinoa is a bit like brown rice crossed with oatmeal. It’s fluffy, creamy, crunchy and somewhat nutty, all rolled into one. Quinoa makes great breakfasts, lunches, brunches, dinners or desserts. The great thing is, it can be prepared in so many different ways, making it extremely versatile. 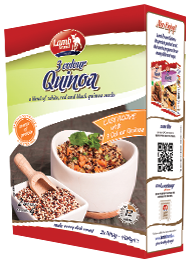 Lamb Brand Quinoa comes in three main varieties: white, red and black. 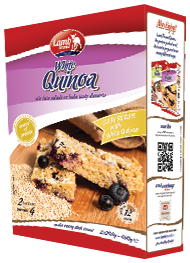 White Quinoa is the commonly used and is more of a tan colour rather than white. White quinoa has the most delicate taste and lightest texture and it cooks up a bit fluffier than other types of quinoa. Because of its fluffy texture and milder flavor, white quinoa works well as a substitute for rice in many dishes. Red Quinoa has a richer taste, crunchier texture and somewhat nuttier in flavour when compared to white quinoa. It is commonly used for cold salads, as it holds its shape better during cooking. 3 – Colour Quinoa is so called since it comes in all three colours: white, red and black. It is also called Rainbow Quinoa or Quinoa Blend. 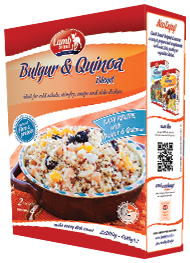 Bulgur and Quinoa Blend is a hearty and delicious culinary mix, excellent to serve as a side dish, or in soups and salads. Lamb Brand has combined this protein packed seed with durum wheat.